The Denver Federal Center (DFC) campus is located on a square-mile, former WWII ordnance plant. 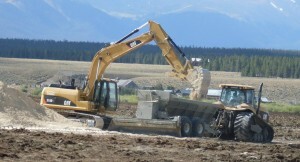 Asbestos-containing soil contamination was discovered during onsite construction. PWT was called in for an emergency site evaluation when it was found that the asbestos had been inappropriately handled and disposed of by a contractor, spreading the contaminated soil throughout the site. As the prime contractor and authority to create policy for this General Services Administration (GSA) contract, PWT stepped in to coordinate and negotiate meetings with the Colorado Department of Public Health and the Environment (CDPHE). PWT determined the aerial extent of the contamination, directed appropriate handling and disposal efforts, and then developed a mechanism for institutional controls at the DFC that continue to allow GSA to use an industrial land-use scenario when calculating risks-based cleanup action levels. The timeliness and effectiveness of PWT’s operational activities averted potential CDPHE fines and saved GSA more than $1.25 million in construction costs. This contract is ongoing in a “maintenance” phase for which PWT has been awarded a follow-on sole source contract and has received “outstanding” reviews in all categories. A migrating plume of Perchloroethylene (PCE) from a dry cleaning business in Bountiful, Utah contaminated groundwater, affected residents and livestock, and necessitated an EPA remedial action. PWT designed an innovative remedial groundwater treatment system to address the contamination that reduced physical impact, improved operating efficiency, and reduced costs. 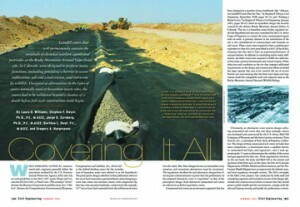 As part of the unique design, PWT incorporated pipe-hole boring techniques that eliminated the physical impacts of surface soil removal consistent with traditional trenching techniques for piping installation. 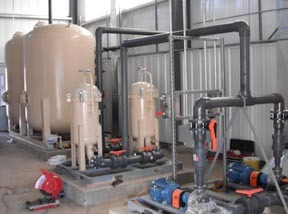 In order to keep bentonite mud from contaminating the surrounding aquifer, PWT used sonic drilling. The sonic drilling technique had the added value of eliminating the need for geophysical logging since direct logging of geological data could be performed. This made the process more efficient since tertiary steps and the indirect geophysical logging methods were able to be eliminated. PWT also engineered a safe and effective alternative to double containment piping, saving about 20% of the total project cost. All work on this RAC2 project was performed on time, within budget, and we are proud to state that the EPA team rated PWT with “Excellent” performance ratings in all service areas on the prime contract. 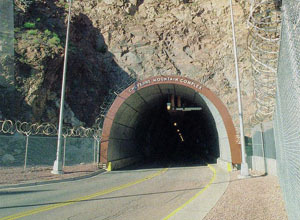 PWT provided environmental management, quality assurance, safety and industrial hygiene, real property management, maintenance engineering, data management, and CADD support services as a part of the team selected to operate the Cheyenne Mountain complex (home to NORAD) for the U.S. Space Command. PWT participated in both internal and external ECAMP/ ESOHCAMPs at Cheyenne Mountain. The number of findings declined both in severity and scope during the contract and there were no repeat trends or findings. The AFSPC Team Chief for the first ESOHCAMP conducted in AFSPC, commended the team for the status of the program at Cheyenne Mountain and stated that it established the standard for the command. PWT also developed a Facility Managers (FM) Program to provide better service to customers by effective communication through a single-point of contact to ensure support the mission, maintain the facilities, develop and implement programs to improve the work environment for the CMAFS community. FMs inspect the overall condition of facilities in their organization, identify and submit work requests for their facilities. 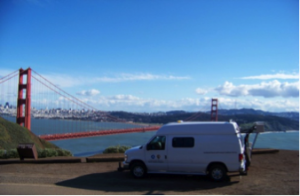 This program provides another set of eyes in facilities, especially those restricted areas where access is difficult. Our Customer Service Unit met with each FM on a regular schedule to review the status of work requests to validate the requirements and priorities to ensure that we are providing the right services at the required time.